What a whirlwind it has been at the Thunder Bay Public Library this past week of March Break! Besides seeing the children enjoying wonderful programs, we have seen books figuratively “flying off the shelves.” Often, the first picks for recreational reading were picture books for the young and paperback fiction for the older children. No pushing, promoting, talking-up is required. On the other hand, I’d like to make a case for trying some non-fiction next time. Reading non-fiction develops reading fluency as well, but also builds knowledge, introduces new vocabulary, develops analytical skills and leads children to explore their own interests in a deeper way or to discover new interests and passions. It is important for children to read both types of materials and the smart parent should occasionally turn their children loose in the non-fiction area to pick out a book on any topic that catches their eye. You might be surprised what they select and what they decide they want, need, no MUST read more about. Whether it is dinosaurs, or coding, or LEGOs or the Titanic, you can find non-fiction books to match your child’s interest and reading level. Reading about what you love is a great motivator. 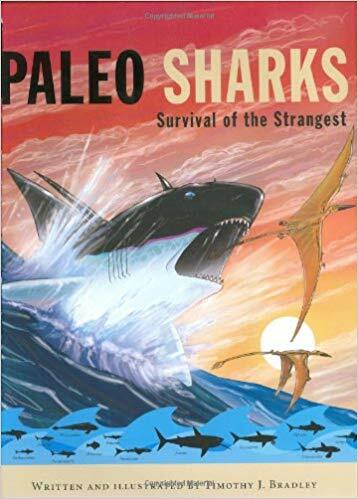 Current non-fiction books for children have a good balance of photographs and illustrations to text which can suit younger readers or readers who struggle more aptly than a novel with dense text. Also appeals to visual learners. Children begin to make connections to other topics and subjects when reading non-fiction, as when a book about frogs leads to wanting a book about the Amazon rain forest where the red-eyed tree frog lives. Watch what happens when you tell your child that they may select any non-fiction book to read. Children have few options for decision-making but love to feel the sense of autonomy a decision would give them. You really can’t lose with this one. Even if you don’t love the book, your child is extra-motivated to read it. And reading widely and with pleasure is the goal. The girl who stood up to the Taliban has written a book based on her childhood dream of possessing a magic pencil with a magic eraser which could fix anything needing fixing. She shares how her thinking moved beyond wishes to working to make things better for herself and all girls. Dinosaur-crazy? Shark-crazy? Interested in the unusual? This book has you covered. 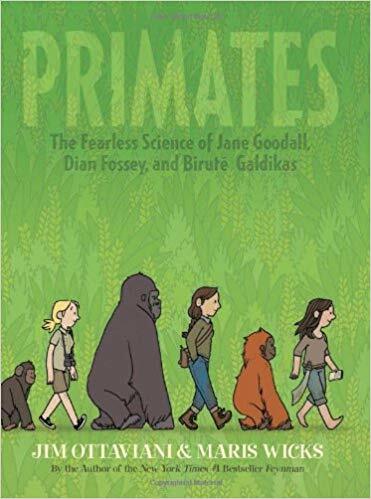 Non-fiction in comic book form (graphic novel) this highly illustrated story appeals to children who love animals, especially those fascinating gorillas, chimpanzees and other apes. 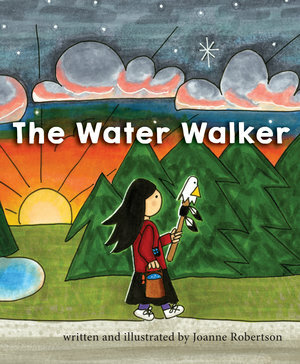 Sadly, Josephine Mandamin recently passed away but this picture book title tells her story – she is the Ojibway Nokomis who founded the Mother Earth Water Walkers. They walk around the Great Lakes and other waterways to call attention to the urgent need to protect and conserve the world’s water. Written with the assistance of the Canadian Museum of Nature, this book clearly illustrates and explains the difference between crows and ravens, tortoises and turtles and other animals that not everyone could tell apart. Wouldn’t your child’s grandparent or teacher be surprised to learn what they will know after reading this book? Angela Meady – www.tbpl.ca. If you have a comment about today’s column, we would love to hear from you. Please comment below!